In this series, we ask acclaimed authors to answer five questions about their book. This week’s featured author is Stephen Gowans . Gowans is an independent political analyst whose principal interest is in who influences formulation of foreign policy in the United States. 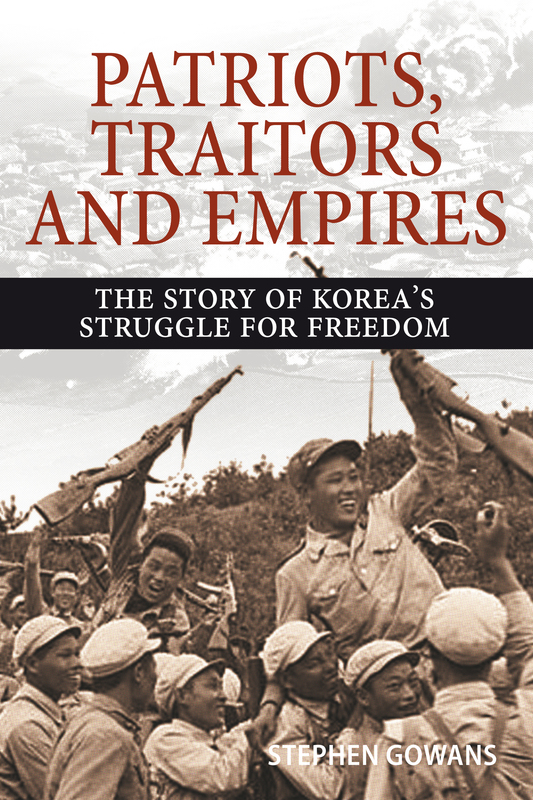 His book is Patriots, Traitors and Empires: The Story of Korea’s Struggle for Freedom. Stephen Gowans: The conflict between the United States and North Korea didn’t start at the moment North Korea embarked upon a program of nuclear weapons development, although the discourse surrounding US-North Korea relations—focussed largely on the ostensible threat Pyongyang’s nuclear weapons and ballistic missiles pose to the United States and the consequent demand for denuclearization—would lead you to believe it did. On the contrary, the conflict began in 1945, when the United States, taking its first steps to establish a global empire of unprecedented scale, arrived on the Korean peninsula to accept the Japanese surrender and refused to recognize the newly established Korean People’s Republic, the state Koreans proclaimed for themselves after 40 years of foreign rule by the Japanese. Korea had been bisected by the United States into separate US and Soviet occupation zones to accept the Japanese surrender. US forces quickly eradicated the Korean People’s Republic within their occupation zone. They did so by fighting an anti-insurgency war against Korean guerrillas who took up arms to defend the nascent republic. 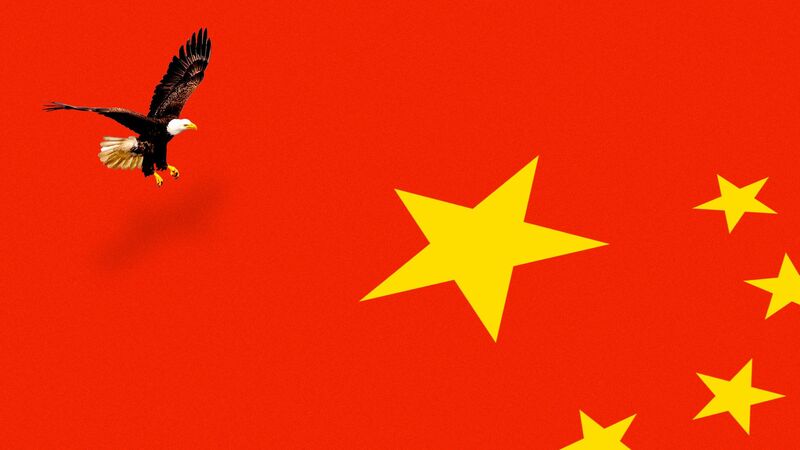 In place of the republic, Washington installed a US military dictatorship, and subsequently a puppet regime, South Korea, which possessed, and continues to posses, the trappings of a viciously anti-communist police state. The Korean People’s Republic survived north of the 38thparallel, in the Soviet occupation zone, and became the Democratic People’s Republic of Korea (DPRK), known informally as North Korea. US policy since 1945 has been to crush any independent Korean government, whether the short-lived Korean People’s Republic, or its DPRK successor. My book traces the history of US efforts to quash independent political movements in Korea, not only in the north, but in the south as well, and the struggle waged by Korean patriots to unify their country and emancipate it from the foreign rule and military occupation inflicted on it, first by the Empire of the Rising Sun, beginning in 1905, and subsequently by the US empire, since 1945. Continued at Black Agenda Report . On April 13, the US, UK and France launched an attack on Syria. The reason, backed by an enthusiastic mainstream media, was retaliation over an alleged chemical attack in Eastern Ghouta. We have interviewed Stephen Gowans to discuss this incident, US foreign policy in Syria, comparisons to foreign policy in Iraq, and the recent de-escalation in the Korean peninsula. Gowans is one of the most important voices when it comes to dissecting the war propaganda of the mainstream media. He is the author of Washington’s Long War on Syria (2017) and Patriots, Traitors and Empire – the Story of Korea’s Struggle for Freedom (2018). Despite a lack of evidence, US, British and French governments have tried to legitimize the latest attack on Syria using the humanitarian approach. What has been the evolution on the ground in recent months and how can we understand those attacks? The Western missile attacks were carried out ostensibly in response to an alleged chemical weapons attack by the Syrian Arab Army in Eastern Ghouta, an area Syrian forces were about to liberate, and soon thereafter did liberate. A few days prior to the alleged gas attack, US president Donald Trump had called for the exit of US troops from the nearly one-third of Syrian territory US forces occupy illegally. The conditions on the ground—imminent victory in Eastern Ghouta and the prospect of US withdrawal from Syria—were highly favorable to the Syrian government. It is highly unlikely that Damascus would sabotage these auspicious developments by crossing a chemical weapons red-line that would trigger a US response. 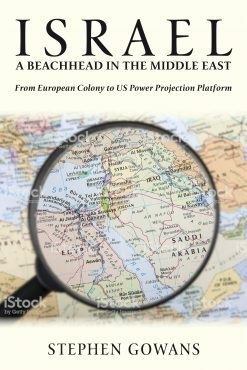 On the other hand, from the perspective of Syria’s Islamist insurgents and high-level officials in the US departments of defense and state (who regard Trump’s withdrawal plans as ill-considered) there was much to recommend the fabrication of an incident, in order to scotch Trump’s troop withdrawal plans. This is not to say that this is what happened, but it’s a far more plausible scenario than one that depicts the Syrian government as acting against its interests. 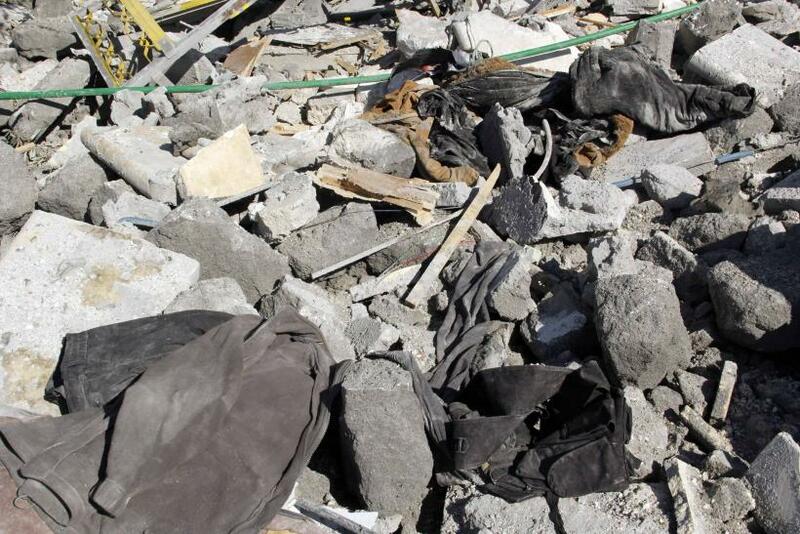 Based on the reporting of The Independent’s Robert Fisk, a bombing attack in Eastern Ghouta had stirred up dust, which filled the basements and subterranean shelters in which civilians had retreated to escape. Choking on dust, and suffering from hypoxia, many fled to a nearby hospital. With cameras rolling, someone shouted “gas!” The scene, captured on video, resembled the aftermath of a gas attack. Apart from the question of whether a gas attack occurred, is another, more important, question. Imagine, if you will, that there was irrefutable evidence that the Syrian military, ignoring its own interests, did in fact use chemical weapons. Would this justify the US, British, French response? The answer, I think, is absolutely not. Hence, the question of whether chemical weapons were used is irrelevant to the question of whether the missile attack was justified. The missile attack certainly had no legal basis. Neither of the countries that attacked Syria were acting in self-defense. They had no mandate from the Security Council. Even from the point of view of US law, the US contribution to the attack was illegal, since the US president has no legal authorization to wage war on the Syrian state. And while a humanitarian agenda may be invoked as a justification, there’s absolutely no evidence that the countries involved in the missile attack were inspired by humanitarian considerations; on the contrary, there’s plenty of evidence they weren’t. The United States and its allies have very likely created more suffering in Syria than has been created by all the chemical weapons used in the country. They have done so through collateral civilian deaths related to their air war against ISIS and siege of Raqqa and through a devastating sanctions program that has lasted nearly two decades. 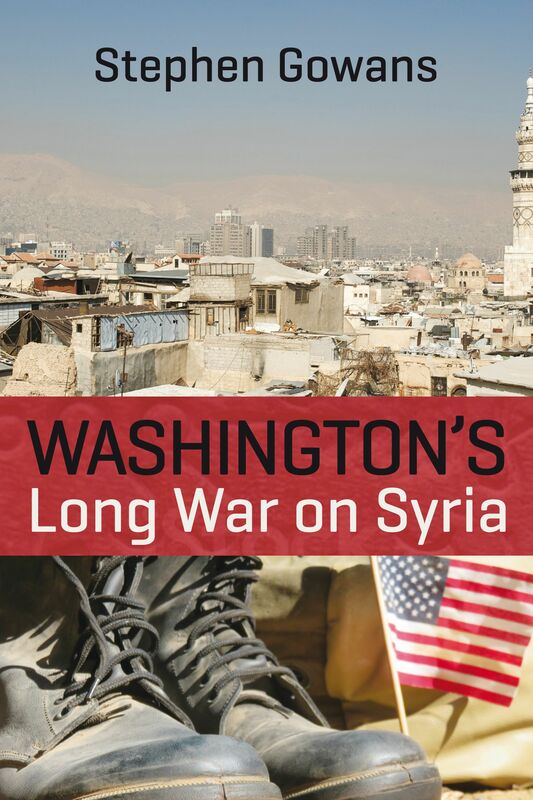 This is to say nothing of the United States deliberately inflaming the long running civil war in Syria (which dates to the late 1940s) and keeping it going by financing the Islamist insurgency, both directly and through its allies, Saudi Arabia, Qatar, Turkey, Israel and Jordan. If the United States and its allies were truly animated by humanitarian concerns, they wouldn’t be killing Syrians through their own bombs, through the disease and malnutrition caused by sanctions, and indirectly through the insurgents they support. Finally, let’s consider a parallel. During Friday protests in Gaza leading up to the 70th anniversary of the Nakba, Israeli soldiers have killed scores of Palestinians and have wounded hundreds more, who have posed at best a trivial threat to Israel. Would China or Russia be justified in raining a barrage of missiles upon Tel Aviv in response?